Plaintiff and defense lawyers alike know that the medical malpractice statute of limitations in Missouri is two years. What is often missed is the exception for fraudulent concealment. While this exception is a huge hurdle for a plaintiff, it should not be overlooked when the facts of the case merit a fraud allegation against the health care provider. Sometimes, you will be amazed at what is hidden in the files of your medial malpractice cases. Only with discovery and an application of the relevant case law will this exception have any meaning in Missouri. 6. Patient was not guilty of lack of diligence in not sooner ascertaining the truth. Clair v. Reproduction Health Services, 720 S.W.2d 793, 795 (Mo. App. E.D. 1986)(reversing the trial court for granting the Motion to Dismiss on fraudulent concealment grounds). During the discussion section of Clair, the Court of Appeals referenced two other cases in which the allegations of fraudulent concealment was sufficient to invoke the tolling provisions of § 516.280. Id. at 794-95 (citing to Hershley v. Brown, 655 S.W.2d 671, 674 (Mo. App. E.D. 1983); Sanders v. Nouri, 688 S.W.2d 24 (Mo. App. E.D. 1985)). “The essence of a fraudulent concealment action is that a defendant, by his or her post-negligence conduct, affirmatively intends to conceal from plaintiff the fact that the plaintiff has a claim against the defendant.” Batek v. Curators of the University of Missouri, 920 S.W.2d 895, 900 (Mo. 1996)(citing to Smile v. Lawson, 435 S.W.2d 325, 327-28 (Mo. 1968)). A defendant’s motion to dismiss is usually brought pursuant to Rule 55.27(a)(6): “failure to state a claim upon which relief can be granted.” A petition should not be dismissed for failure to state a claim if it “asserts any set of facts” which, if proved, would entitle plaintiff to relief. Duggan v. Pulitzer Pub. Co., 913 S.W.2d 807 (Mo. App. E.D. 1995). Reasonable inferences and matters necessarily implied from facts stated allow defendant to be advised with reasonable certainty as to the cause of action. Phillips v. Bradshaw, 859 S.W.2d 232 (Mo. 1993). A petition is sufficient against a motion to dismiss if its allegations invoke substantive principles of law that entitle plaintiff to relief and if it alleges facts which inform defendant of what plaintiff will attempt to prove at trial. Murray v. Ray, 862 S.W.2d 931 (Mo. 1993). 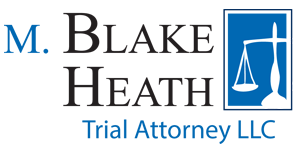 Plaintiff need only plead the facts relating to the concealment to defeat a motion to dismiss. See generally Batek v. Curators of the University of Missouri, 920 S.W.2d 895, 900 (Mo. 1996)(citing to Womack v. Callaway County, 159 S.W.2d 630, 632 (Mo. 1942)). Specific factual allegations on each of the elements of fraudulent concealment must be made and this can only be accomplished with an in-depth knowledge of the case. This raises a difficult issue for the plaintiff because many of the “facts” of fraudulent concealment can only be found in discovery. For that reason, discovery is needed on fraudulent concealment, making a motion to dismiss an ineffective resolution of the case. “Fraudulent concealment only applies to defendant’s conduct which prevents ‘commencement of an action.’ § 516.280 RSMo. 1986. Consequently, when determining if fraudulent concealment tolls the statute of limitations, a pivotal issue is when plaintiff realized she had a cause of action.” Tayborn v. Burstein, 748 S.W.2d 824, 826 (Mo. App. E.D. 1988). Since fraudulent concealment is a fact intensive inquiry, summary judgment is a more appropriate manner to determine if there is such a claim. See Oetting v. Missouri Osteopathic Foundation, 806 S.W.2d 150, 152 (Mo. App. W.D. 1991)(discussing facts and expert reports in ruling on summary judgment); Miller v. Guze, 820 S.W.2d 576, 578 (Mo. App. E.D. 1991)(making a factual determination on summary judgment that was “supported by an affidavit and exhibits which showed there was no fraudulent concealment.”); Wilson v. Jackson, 823 S.W.2d 512, 514 (Mo. App. E.D. 1992)(on summary judgment, ruling that statements made to parents did not fraudulently conceal malpractice). In fact, the Western District Court of Appeals has reversed summary judgment on a claim of fraudulent concealment when plaintiff alleged facts that a medical doctor did not inform the patient of a medical procedure. Mahurin v. St. Luke’s Hospital of Kansas City, 809 S.W.2d 418, 422 (Mo. App. W.D. 1991)(examining the facts under a summary judgment standard, not a motion to dismiss). The Eastern District has likewise reversed a trial court’s dismissal of the plaintiff’s medical malpractice claim based on fraudulent concealment. Sanders v. Nouri, 688 S.W.2d 24, 27-28 (Mo. App. E.D. 1985). In Sanders, plaintiff alleged that the doctor performed the surgery, the doctor had knowledge that the surgery was not proper and that the doctor concealed this information from the patient. Id. at 27-28. The Court of Appeals then stated that “[r]easonable inference can be drawn from the facts alleged that doctor’s failure to reveal actual surgical procedure was fraudulent.” Id. at 28. Since affidavits and supporting documents cannot be attached to a motion to dismiss and a plaintiff theoretically can survive a motion to dismiss by simply pleading facts that demonstrate fraudulent concealment, summary judgment is the most appropriate mechanism for resolving the fraudulent concealment exception. Clearly, a plaintiff must look deep into the facts of the case to discover fraud. Some of the best places to look are when the health care provider refuses to provide medical records, nurses statements, quality assurance complaints regarding the health care provider and memos of legal staff or management of the institution discouraging employees from talking to attorneys regarding the case. This requires expensive factual discovery prior to the court ruling on the Motion to Dismiss or the Summary Judgment motion. In a recent case, the CEO of a hospital wrote to all employees, telling them to not talk to investigators. In the same case, two nurses were disciplined for discussing the alleged malpractice. This type of discovery assists in proving fraudulent concealment. Only with thorough discovery and an application of the law of Missouri will the exception to the rule have any meaning.